WASHINGTON: State-sponsored Russian hackers appear far more interested this year in demonstrating that they can disrupt the US electric utility grid than the midterm elections, according to US intelligence officials and technology company executives. Despite attempts to infiltrate the online accounts of two Senate Democrats up for re-election, intelligence officials said they have seen little activity by Russian military hackers aimed at either major US political figures or state voter registration systems. In interviews, US intelligence officials said that the department had understated the scope of the threat. So far the White House has said little about the intrusions other than raise the fear of such breaches to maintain old coal plants in case they are needed to recover from a major attack. On Friday, President Donald Trump was briefed on government efforts to protect the coming midterm elections from what a White House statement described as “malign foreign actors.” It said it was giving cybersecurity support to state and local governments to protect their election systems. It is possible that Russian hackers are holding their fire until closer to Election Day in November. Given the indictments this month of 12 Russian military officers who are accused of American election interference, the agency once known as the GRU may be all too aware it is being closely watched by the National Security Agency and other US intelligence services. Microsoft announced at a security conference last week that it stopped an attack last fall aimed at Senate staff offices. While the company did not identify who was targeted, Sen. Claire McCaskill, D-Mo., who faces a tight race for re-election, said Thursday night that her office had been struck in what she called an unsuccessful attack. 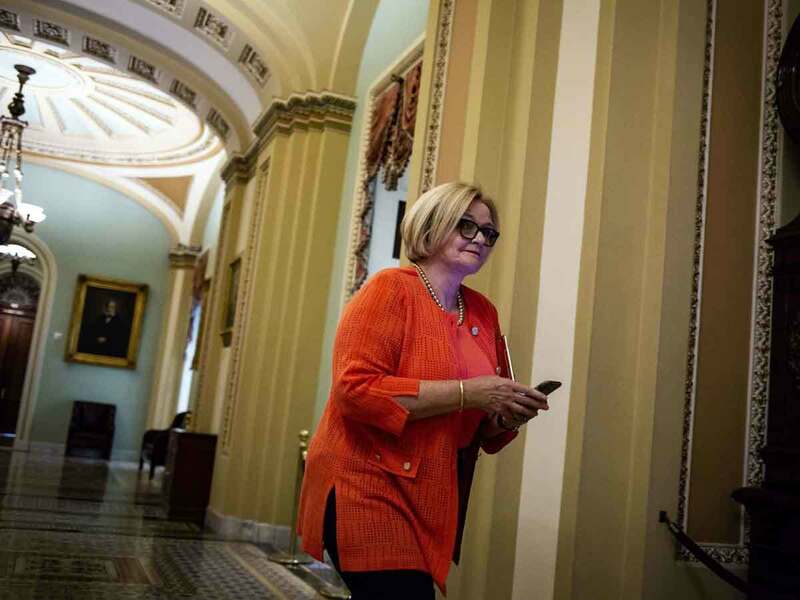 US officials said it was unclear whether the attack was related to McCaskill’s re-election bid. She serves on the Senate Armed Services Committee, and one senior official said it was possible that the hackers were seeking a way into the panel’s access to classified military operations and budgets. But beyond those attempts, Burt and several US intelligence officials said there have been surprisingly few cyberattack attempts directed at political leaders, at least compared with 2016. “I see 2018 as a ramp-up to 2020,” said Laura Rosenberger, the director of the Alliance for Securing Democracy at the German Marshall Fund. Rosenberger, a former State Department official and foreign policy adviser to Hillary Clinton during the 2016 campaign, has been leading one of the most comprehensive efforts to track and expose foreign influence in American elections. In a presentation at the Aspen forum, the new chief of the US Cyber Command spoke at length about a new approach of “persistent engagement” with American adversaries, an effort to see attacks amassing in networks overseas before they strike in the United States. The commander, Gen. Paul M. Nakasone, who is also the director of the National Security Agency, said that he had set up a Russia small group after assuming command in the spring, but said nothing about its operations. The NSA is responsible for defending government networks and conducting covert offensive operations. Last year, Trump’s national security adviser, John R. Bolton, called the Russian hacking of the Democratic National Committee during the 2016 election “an ‘act of war.’” The hackers are accused of stealing of the committee’s data and then publishing stolen emails through a number of websites, including WikiLeaks. Just as it is difficult to judge the intent of the Russian hackers in attacking McCaskill’s office, it is hard to fully understand why they have put so much effort into installing “implants” — hard-to-find malware — in the utility operating systems. The fear, of course, is that Russia may be planning to unplug US power systems in a time of conflict. But such an attack would almost certainly result in a military response, as Nakasone obliquely suggested at the Aspen forum. It is possible that the hackers are simply trying to demonstrate what they are capable of, just as they did in 2014 when they fought the NSA’s efforts to force them from the White House’s unclassified email systems. That is exactly the approach used against McCaskill’s staff, the officials said.